At Merrill Edge®, we believe in helping our clients simplify their financial lives. That's why we offer streamlined online investing that makes it easy for clients to take control of their finances. Access to the investment insights of Merrill Lynch and the convenience of Bank of America banking helps clients manage their accounts— anytime, anywhere. Click each year to see highlights. Get an in-depth look at consumers' financial concerns. Merrill Edge is committed to building strong relationships with our customers, our community and our employees. Every day, we use our skills, technology and insights to help clients pursue their financial priorities at every life stage. Guided by the principles of teamwork, responsible citizenship, and community building, we're dedicated to supporting our clients, employees and community with the tools, research and insights they need to help them succeed. 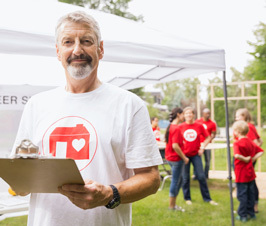 At Bank of America Corporation, we have a clear purpose to help make financial lives better for those we serve. Bank of America and Merrill Edge are helping simplify banking and investing, advancing better money habits and making an impact in communities around the world. As part of our commitment to building a sustainable world through responsible business practices and community investments, Bank of America Corporation is bringing our size and scope to organizations including Boys & Girls Club of America. We're proud of the dedication of our employees who volunteered 2 million hours last year. To learn more, visit bankofamerica.com/about. Footnote 5 Merrill Edge was evaluated as one of 16 online brokers in StockBrokers.com 2017 Online Broker Review published on February 21, 2017. StockBrokers.com evaluated brokers using 308 variables across 10 categories. Learn more at http://www.stockbrokers.com/review/merrilledge. 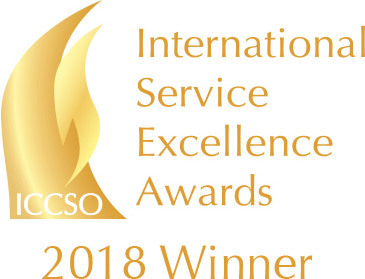 Footnote 6 Merrill Edge was named the "Winner" in the Visionary category by the Learn more about the 2018 International Service Excellence Award winners from Customer Service Institute of America in 2018. The judging criteria is based on the balanced scorecard methodology, review of the organizations to determine if the customer is the focus of the business and how that is supported through culture, processes, procedures, training, hiring practices, and daily actions. Rankings and recognition from the Customer Service Institute of America are no guarantee of future investment success and do not ensure that a current or prospective client will experience a higher level of performance results and such rankings should not be construed as an endorsement. Merrill Edge pays a fee to participate in the judging process.